The modern healthcare system has become proficient at staving off death with aggressive interventions. And yet, eventually everyone dies--and although most Americans say they would prefer to die peacefully at home, more than half of all deaths take place in hospitals or health care facilities. 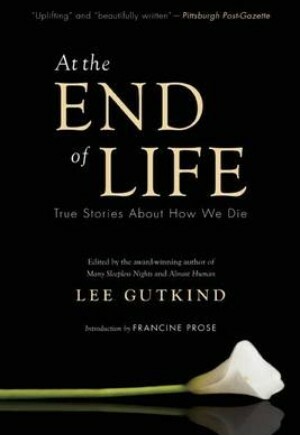 "At the End of Life"--the latest collaborative book project between the Creative Nonfiction Foundation and the Jewish Healthcare Foundation--tackles this conundrum head on. Featuring twenty-two compelling personal-medical narratives, the collection explores death, dying and palliative care, and highlights current features, flaws and advances in the healthcare system. Here, a poet and former hospice worker reflects on death's mysteries; a son wanders the halls of his mother's nursing home, lost in the small absurdities of the place; a grief counselor struggles with losing his own grandfather; a medical intern traces the origins and meaning of time; a mother anguishes over her decision to turn off her daughter's life support and allow her organs to be harvested; and a nurse remembers many of her former patients. These original, compelling personal narratives reveal the inner workings of hospitals, homes and hospices where patients, their doctors and their loved ones all battle to hang on--and to let go.